Why do most Japanese monks live a long life? One of the secrets is that they drink matcha, a specially-made green tea with a history of hundreds of years. Matcha originated in the Sui Dynasty in China (A.D. 581-619) and spread to Japan in the 12th century. Here are some of its benefits. Matcha is rich in anti-oxidants, having 10 times more than the amount found in regular green tea. Decreasing oxidative damage in the body is thought to be one of the keys to slowing the aging process and extending lifespan. Matcha’s brilliant green color comes from chlorophyll. When consumed in the diet, chlorophyll is generally known to help the body build red blood cells. Studies also suggest that chlorophyll can help rid the body of toxins and protect the liver. 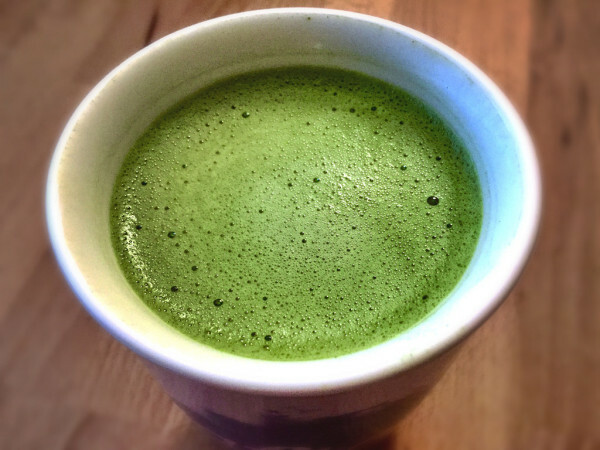 Chlorophyll found in matcha binds to carcinogens and interferes with their absorption. Consumption of green tea has been associated with a lower incidence of esophageal cancer and a lower risk for gastric, pancreatic, and colorectal cancer. A cup of matcha contains hardly any calories, and catechin, one of the anti-oxidant compounds found in matcha, has been shown to speed up the body’s metabolism resulting in an increase in fat burning and weight loss. 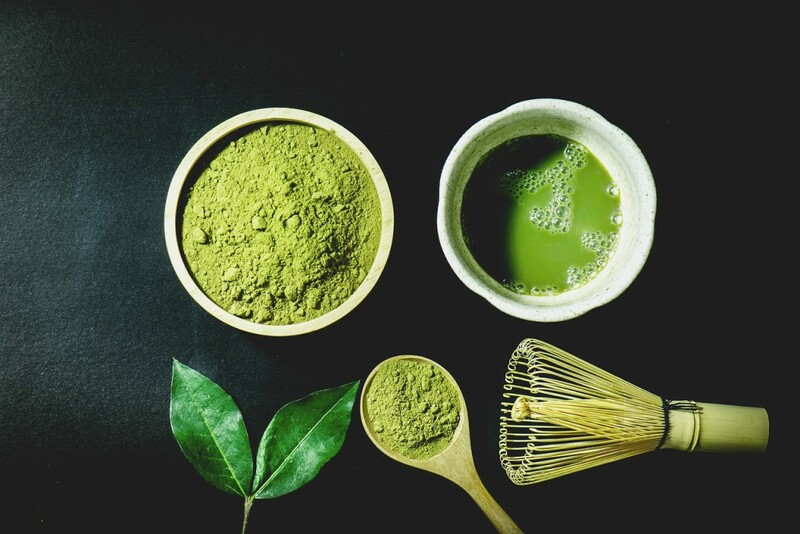 Matcha contains caffeine, which gives an energy boost, but when you drink matcha, you consume the whole tea leaf, so the caffeine is bound to the tea polyphenols. As your body breaks these bonds during digestion, the caffeine is slowly released, increasing your energy and stamina. 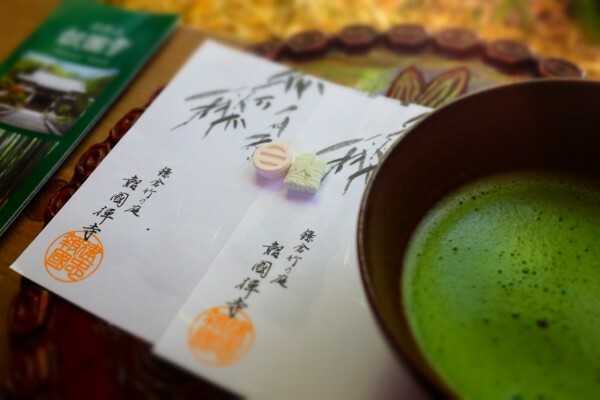 L-theanine found in matcha promotes a state of being relaxed and yet alert at the same time. It has been shown to be beneficial to people dealing with anxiety due to its efficacy at relieving stress. Another function of the catechins in matcha is to boost the immune system. Laboratory findings show that it can block a key cell receptor involved in allergic responses, so it may also benefit allergy sufferers. Matcha contains a significant amount of fiber, which helps control hunger by giving a feeling of fullness. It also promotes intestinal regularity and digestive health. Drinking matcha can lower LDL (bad) cholesterol and raise HDL (good) cholesterol. Consumption of green tea has been shown to reduce the risk of developing diabetes and to lower blood sugar. The compounds found in matcha have an anti-bacterial effect, so drinking it can have a positive effect on oral health. The catechins in matcha are thought to protect bone density by both supporting the formation of new bone and by blocking the breakdown of existing bone, thus preventing osteoporosis. The post The Miracle of Matcha Tea appeared first on Vision Times.